The U.S. Department of Education's College Scorecard, which launched in February, is designed to help prospective students make more informed decisions about which college to attend by providing information about affordability and value. The U.S .Department of Education’s College Scorecard, which launched in February, is designed to help prospective students make more informed decisions about which college to attend by providing information about affordability and value. The scorecard allows users to quickly access a college’s profile that includes net price, the median amount that the average student borrows and the monthly loan payment that the debt would carry. It also posts graduation rates for full-time undergraduates achieved over six years—figures that show seven of Long Island’s four-year nonprofit colleges have graduation rates below the national average, compared to their public and private peer institutions. Farmingdale State College and the College at Old Westbury, both SUNY schools, have graduation rates below the national average of 56 percent for public colleges. Dowling College, Hofstra University, LIU Post, Molloy College and New York Institute of Technology have graduation rates below the national rate of 65 percent for private, nonprofit institutions. According to the scorecard, Long Island institutions with graduation rates above the national average for their peer institutions are: Adelphi University, Stony Brook University, St. Joseph’s College, the U.S. Merchant Marine Academy and Webb Institute. While many experts agree that the scorecard makes it easy to access and compare information, some college leaders argue that the numbers are incomplete and do not fully reflect overall student success. "While we could do better, these numbers don't give a true picture of what's going on at the campuses," said the Rev. Calvin O. Butts III, president of the College at Old Westbury, where the freshman retention rate has nearly quadrupled since he arrived at the campus in 1999. "We enroll a lot of transfer students and part-timers, and many of our students are the first in their families to go to college," he said, "so you can't compare us to schools where students come from a long family history of higher education." Officials at other schools, including Farmingdale, Five Towns, Hofstra, Molloy, LIU Post and St. Joseph's, said the College Scorecard fails to take into account other aspects of student success, including individual growth and experiences and faculty involvement. At Hofstra, where the graduation rate has been climbing and is over 60 percent this year, officials argue that the scorecard does not reflect the most recent data. "It can only really be a part of what you look at when you look at a school," said Melissa Connolly, Hofstra's vice president of university relations. Other college leaders say that the scorecard’s findings fail to include the large numbers of transfer and part-time students who regularly graduate from Long Island schools. "Students change colleges for many reasons: family issues, health reasons, new academic pursuits. Categorizing these students as statistically unsuccessful does not accurately reflect the reality," said Lucia Cepriano, provost of Farmingdale State College, where the graduation rate is 39.9 percent. Cepriano said the school's rate would be 10 percent to 15 percent higher if transfer and part-time students were counted. National experts agree that graduation rates fluctuate depending on the type of institution. 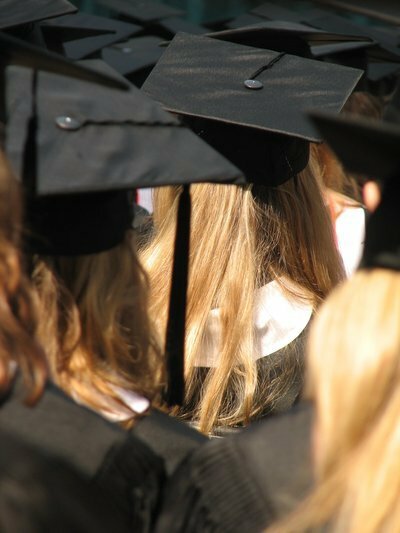 "You can't expect all the colleges in the nation to have the graduation rates that the most selective schools do," said Roland King, spokesman for the National Association of Independent Colleges and Universities, which represents more than 1,000 U.S. institutions of higher education, from major research universities to performing and visual arts institutions. "I'm certainly not apologizing for schools that are making promises and not delivering on quality, though," King said. "This is an area where we can all agree that more work is needed." What do you think about the scorecard and its findings? Please include your comments below or on our Long Island Living Discussion Forum. Subject: LongIsland.com - Your Name sent you Article details of "College Scorecard Results: Low Graduation Rates for Some LI Colleges"